SKEYE Hexa Drone: Ready to fly For $45 + an extra 15% off today using code DRONE15! The SKEYE Hexa Drone is a next-generation drone with supremely impressive stunt-flying capabilities, a big brother to the world’s tiniest quadcopter, the Nano. With its unique six-propeller design, Hexa delivers ultimate control with enhanced stability thanks to the six-axis flight control system, all just $45 on TNW Deals. 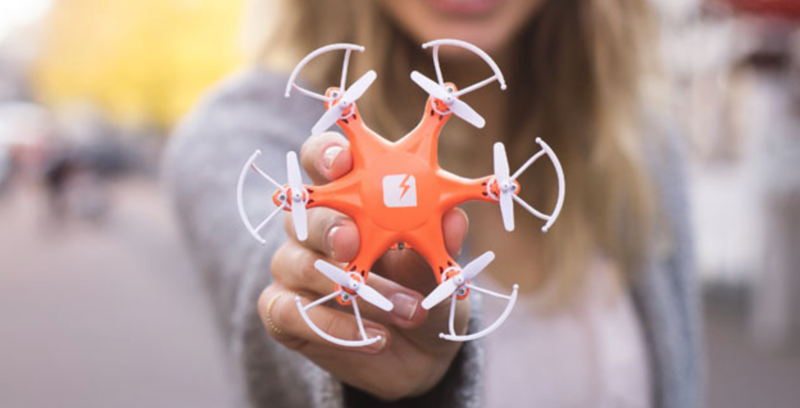 Everyone from beginners to stunt-flying champions will love the Hexa, which fits into the palm of your hand and is ready to fly right out of the box. The three-level adjustable controller provides extra sensitivity for beginners, mid-level users & experts. The adjustable gyro sensitivity will make the drone’s aerobatic functionality a no-brainer, and you’re protected against crashes with propeller bumpers. For extra fun, your Hexa’s bright LED lights make for endless adventurous night-flying fun. At just $45, you’re saving 34 percent off the MSRP for the SKEYE Hexa drone on TNW Deals. Enter code DRONE15 for an extra 15 percent off, today (23 November, 2015) only!